Designed to fit in the glove compartment. Based on the HSE (First Aid) Regulation content for one person with some additions and is recommended for company cars, service vehicles or any person working away from base. 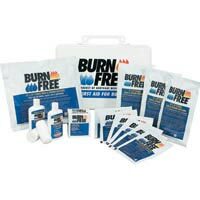 Contains: 1 x First aid guidance leaflet, 3 x No.2 Ambulance dressings, 1 x Conforming bandage, 2 x Triangular bandages, 2 x No.16 eye dressings, 1 x Pair vinyl powder free gloves, 12 x Safety pins, 10 x Alcohol free cleansing wipes, 24 x Assorted plasters. 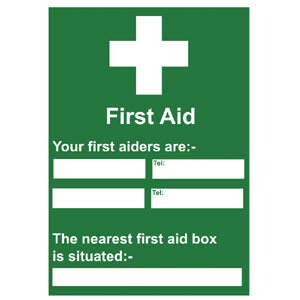 It is a legal requirement for employers to provide adequate first aid provisions for their employees and the Health & Safety Executive has issued a recommended list of contents that should be included in a first aid kit. 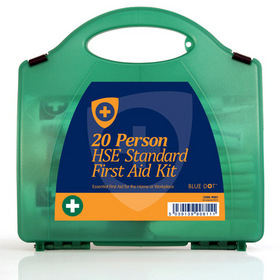 The standard 10 first aid kit complies with these recommendations and offers superb value for money. 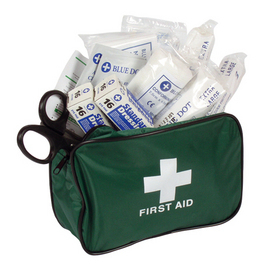 This First Aid Kit is designed for an environment where there are between 1-10 people. 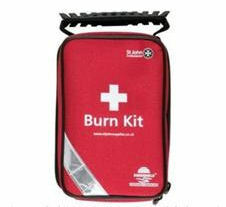 Packed in a heavy duty green plastic first aid box. 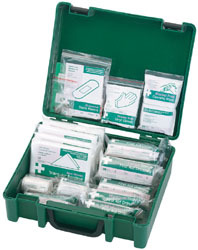 11-20 Person First Aid Kit, Contains 1 x Emergency first aid guidance leaflet, 40 x Assorted plasters, 4 x Eye pads, 6 x Triangular bandages, 12 x Safety pins, 9 x HSE Medium dressings (12cm x 12cm), 3 x HSE Large dressings (18cm x 18cm), 10 x Alcohol free cleansing wipes, 2 x Pair disposable gloves. 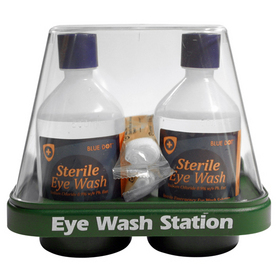 Eyewash station consisting of green plastic base and clear cover and contains 2 x 500ml eye wash and two eye pads. 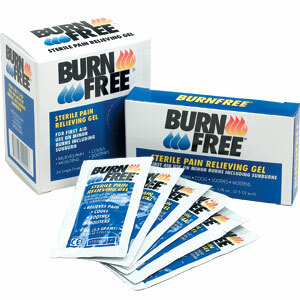 4 X 10cm by 10cm dressings, 12 gel sachets, 1 gel bottle, 2 gauze rolls.